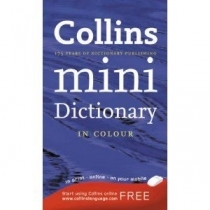 Collins Mini English Dictionary is the perfect dictionary for everyday reference. It contains all the words and definitions you need on a daily basis in a handy portable format that is ideal for carrying to school or work. 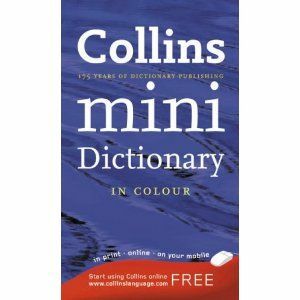 Collins Mini English Dictionary is a great choice for everyday use. The attractive, open layout is a pleasure to consult, as all entry words and spelling forms are highlighted in colour. Based on analysis of Collins corpus, the largest database of the English language, Collins Mini English Dictionary includes completely up-to-date coverage of written and spoken English. All definitions are provided in clear, no-nonsense language, and modern meanings come first so it is easy to find the sense needed. The clear, concise usage notes give advice on puzzling or disputed points in using English.